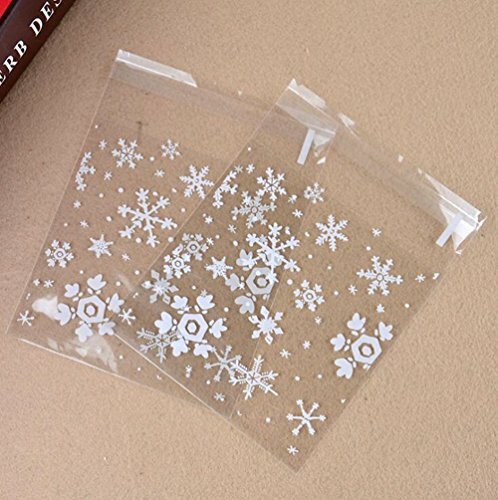 Surprise party guests with some cool treats in our Snowflakes Cello Bags! 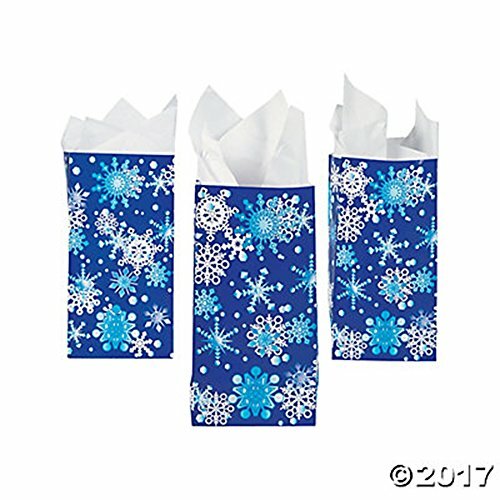 Fill these 11" high x 5" wide Snowflake Cellophane Bags with candy and party favors to create favor bags or combine them with colorful tissue paper and curling ribbon to wrap small gifts! 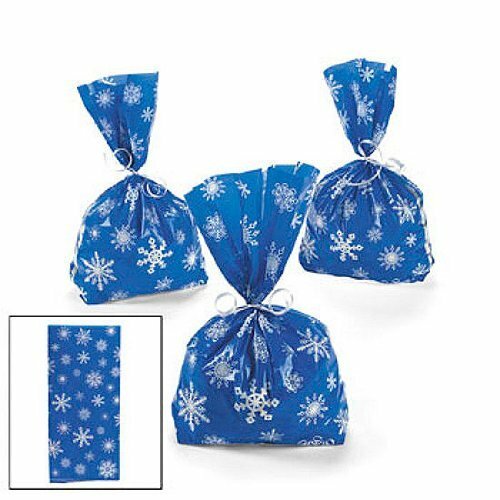 This package of 20 Snowflakes Treat Bags is also an inexpensive way to wrap cookies and baked goods. 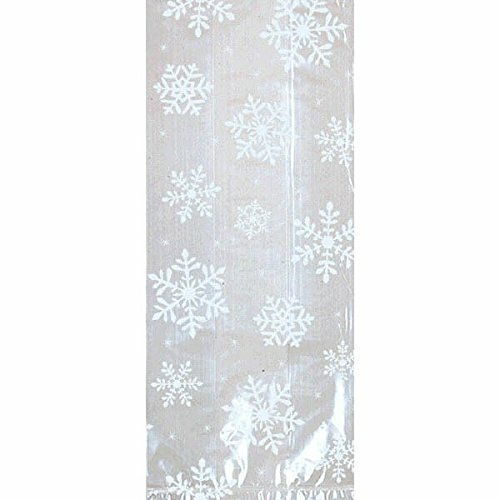 Snowflakes Cello Bags are also a frosty addition to your child's Disney Frozen themed birthday party. 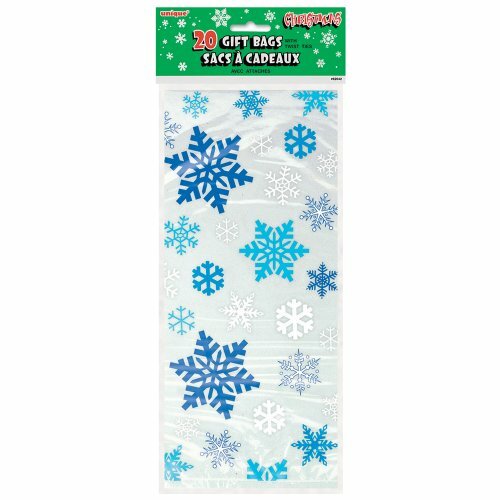 Coordinate these Snowflakes Cello Bags with other winter holiday party supplies or Disney Frozen party supplies and decorations. 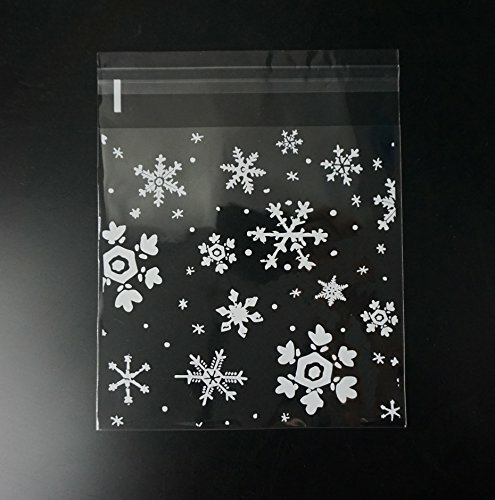 Package contains 20 Snowflakes 11" x 5" Cello Bags and twist ties. 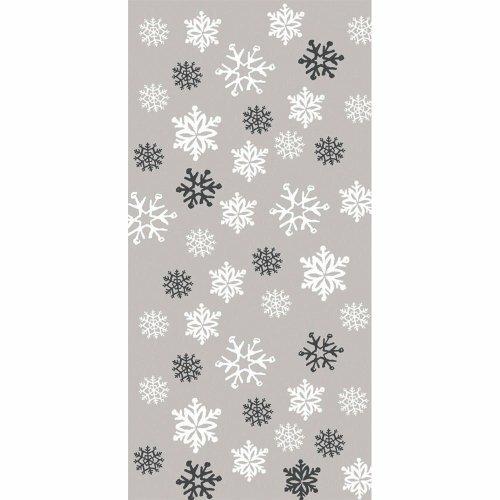 Cello Party Bags Festive Snowflakes, Small size 9 1/2" x 4 x 2 1/4", 25 Count. These are bags are the perfect way to give a gift for the Christmas Season. Friends and Family will get so excited when they get handed a present from you. These cellophane bags are a great way to deliver Christmas treats! With a frosty snowflake design, these handy sacks are perfect for a holiday party or winter bake sale. You'll love filling them with candy, cookies and other snacks! 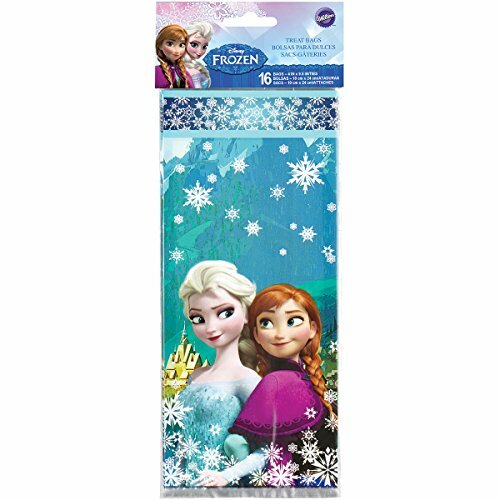 11 1/2"
Anna, Elsa and Olaf hold your favorite party treats in these fun treat bags. 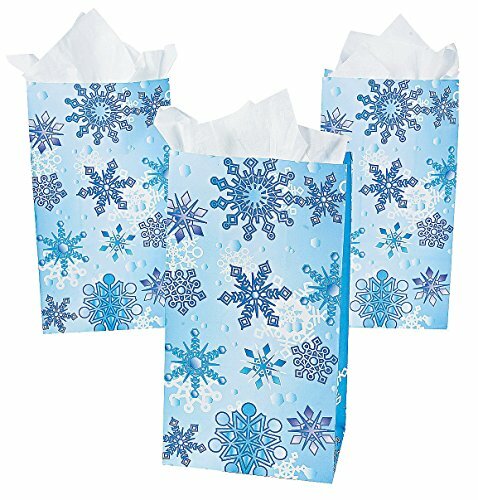 These cute blue snowflake pattern bags feature the sisters and the snowman from the popular Disney movie Frozen. Includes 16 bags and 16 ties; 8 of each: Anna with Elsa and Olaf. 20-Count package of cello treat bags, perfect for wrapping holiday favors. Whether you're planning an intimate dinner, a family gathering, or a huge party, you can trust Creative Converting for high quality, consistent color matching and attention to detail.